This morning I decided to put some serious effort into preparing the yard for my sustainable garden project. This is going to be a HUGE project. 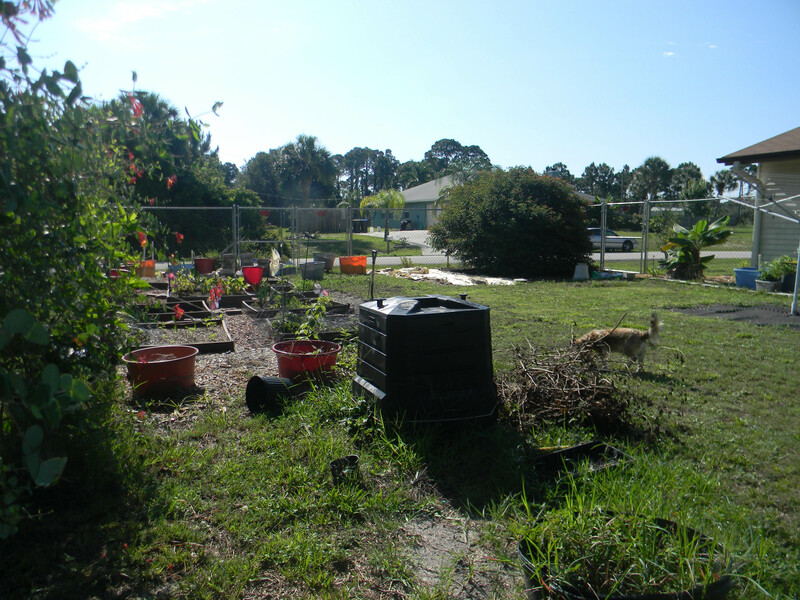 Most of my back yard is nothing but weeds. 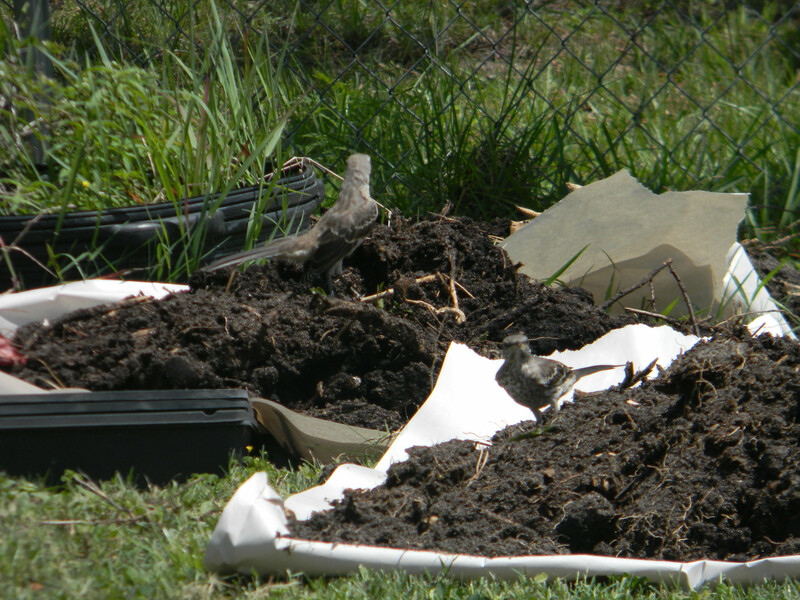 On the “Back to Eden” video and website Paul encourages you not to dig up the area you are going to use but just cover it up with 3 layers of newspaper and then a thick layer of fine mulch. Unfortunately I have a weed that is pervasive. It will grow on top of plastic that has been laid under much until it finds a good place to pop up. When I placed my compost bin I put plastic down and then stones and it grew up through that!! So……I have to dig it up. 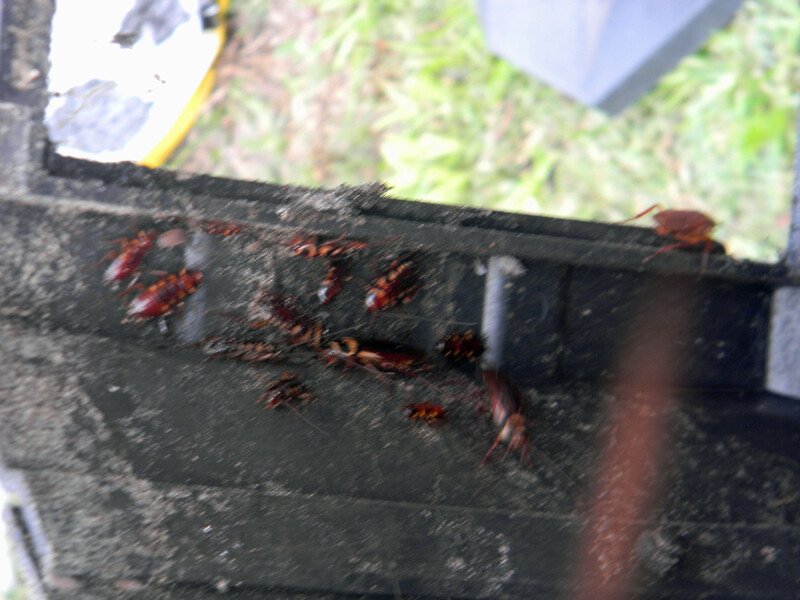 As I began to empty my compost bin the cockroaches scurried everywhere. I have done research on this and almost everyone I read had the same problem. Its not too bad until they decide to start flying! 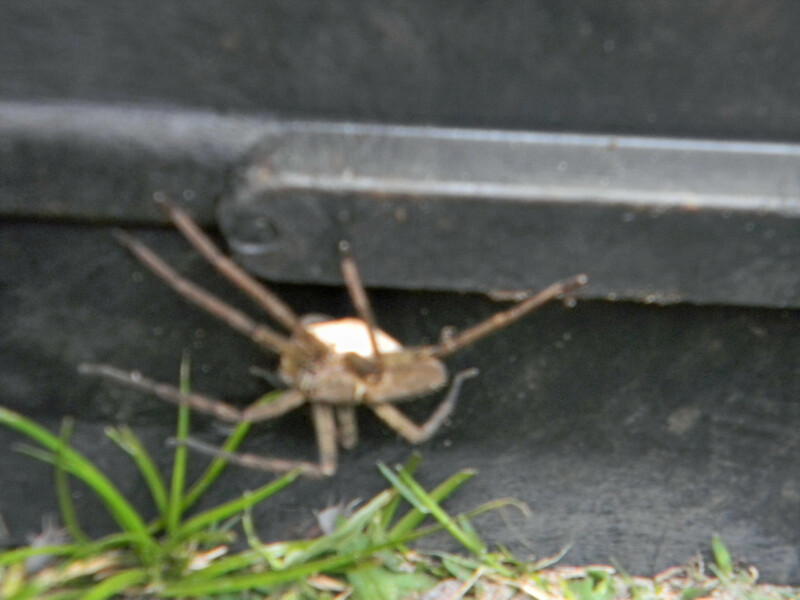 The worst today were the LARGE spiders. I have not had those before in my compost bin. One even had an egg sack. Sorry to those who don’t believe in killing them but I did. The female actually abandoned her egg sack. Many times today I sat and just watched nature. 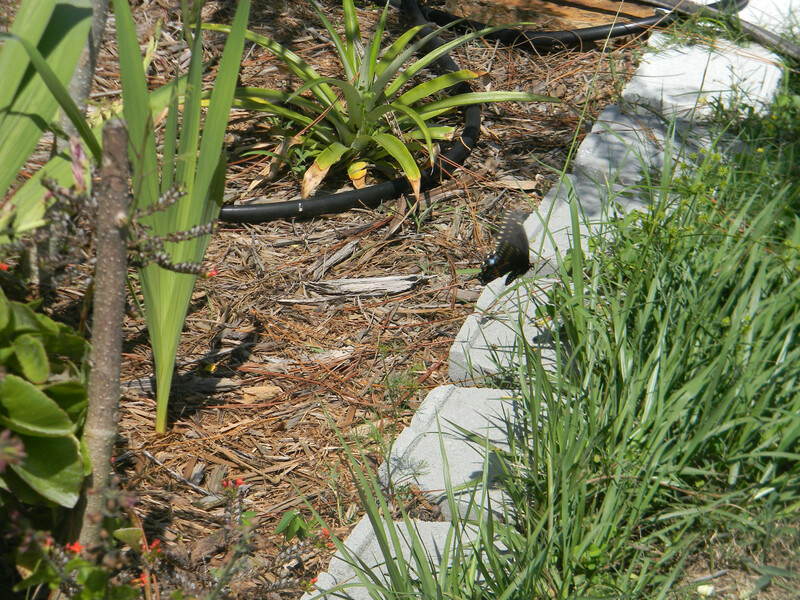 I was able to see a swallowtail lay eggs on my fennel. The eggs are so tiny. Hope I can catch some pictures of the caterpillars. 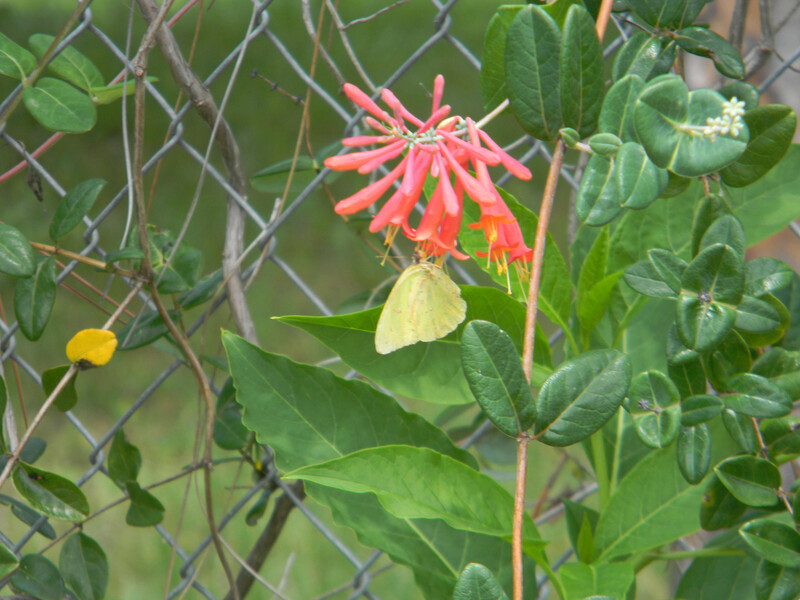 I also got a good look at a sulphur butterfly today. 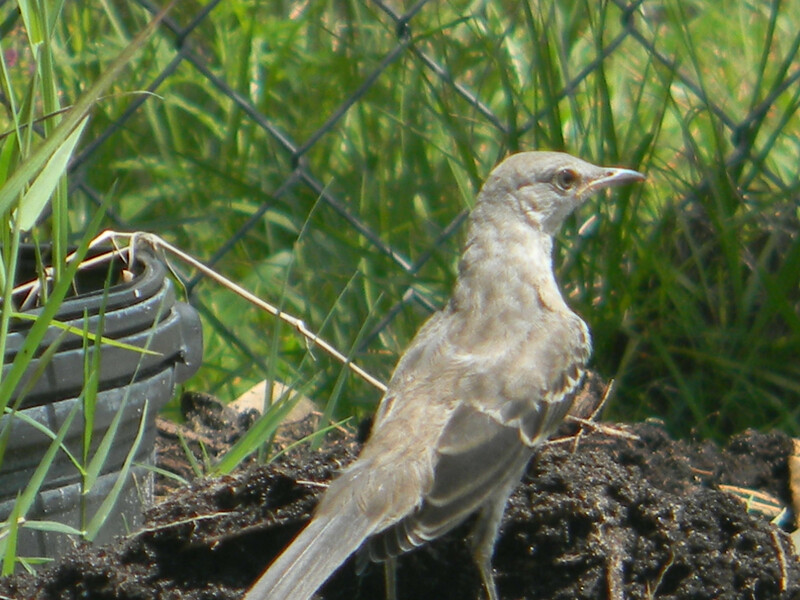 The mocking birds really enjoyed digging through my compost for whatever they were eating, I could not tell. Perhaps some of the cockroaches. 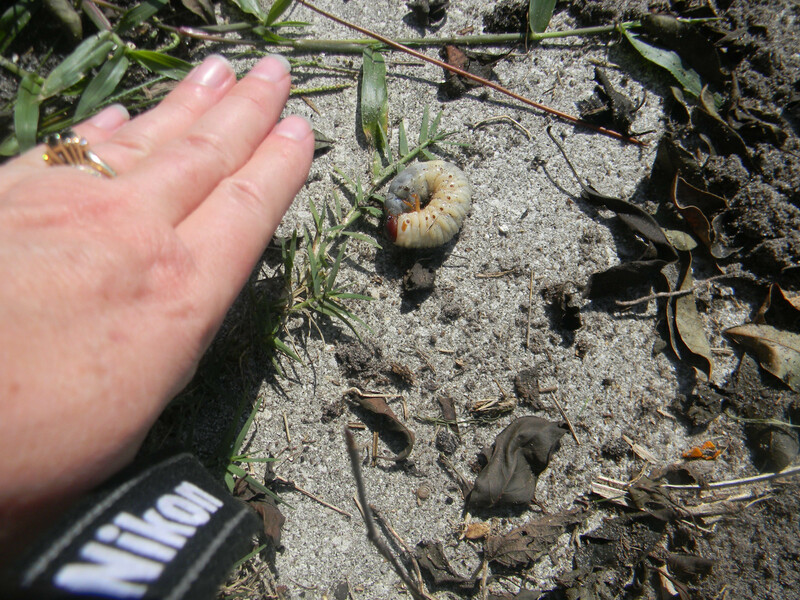 I saw the biggest grub I have ever seen today. It was near my compost bin so it must have been eating well. I also saw an albino cockroach. Can’t wait to see what tomorrow will bring. This entry was posted in Gardening, Posts and tagged birds, butterflies, cockroaches, gardening, spiders, sustainable gardening, Swollowtail butterfly. Bookmark the permalink. 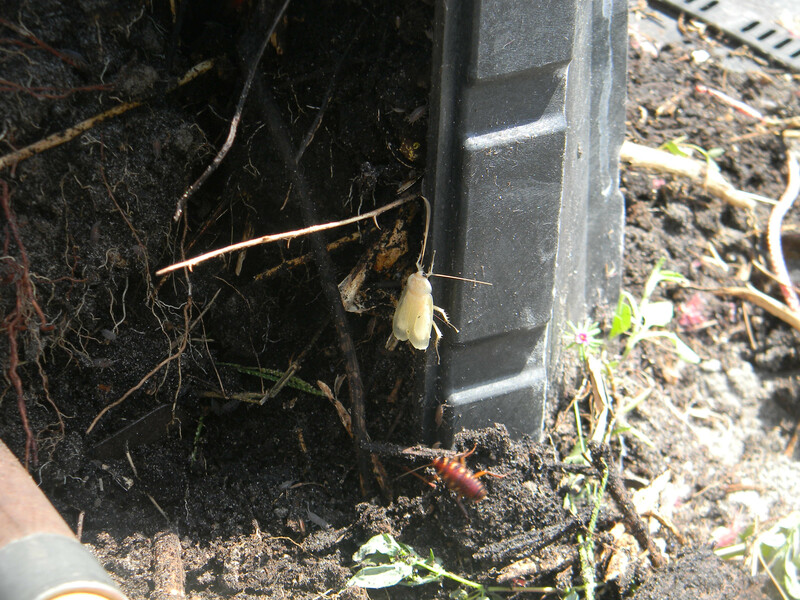 I have seen cockroaches in our compost. But also LARGE spiders. 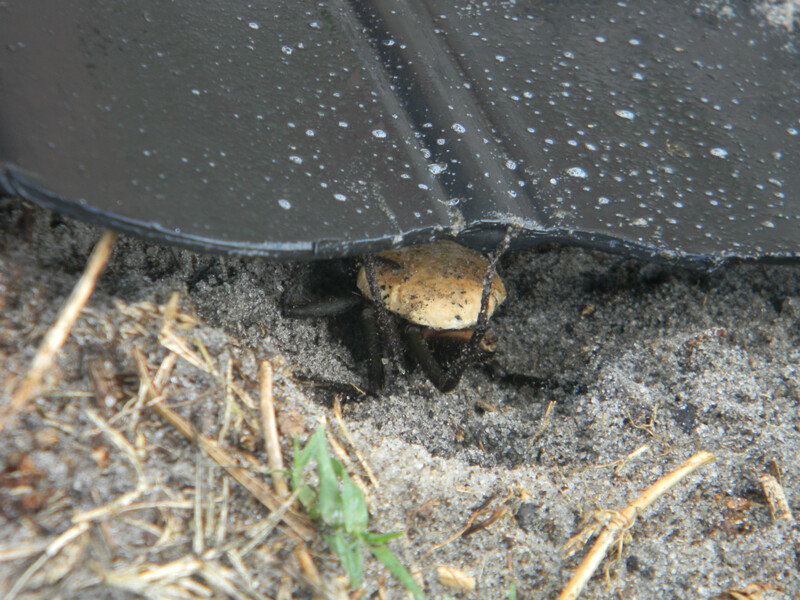 They like to nest in the cover and done the inside of the bin. 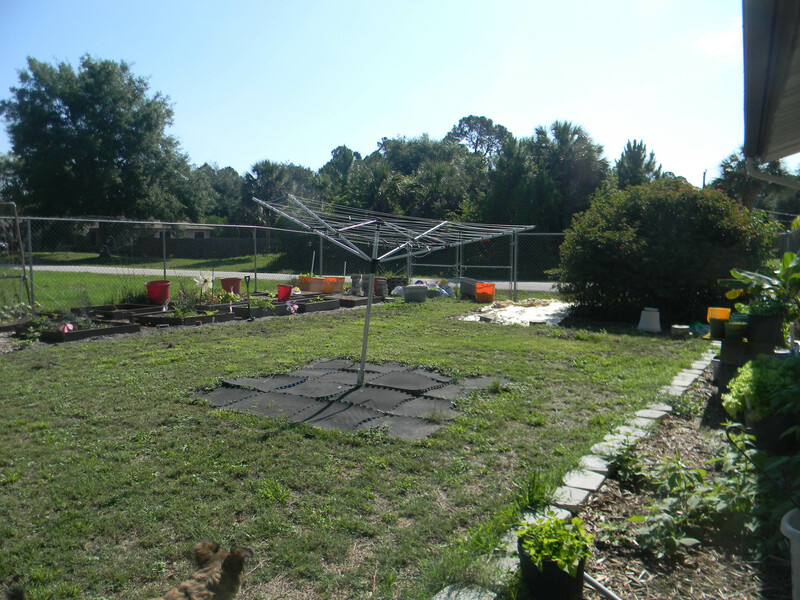 Can’t wait to see how your garden grows. Have you identified the pernicious weed yet? 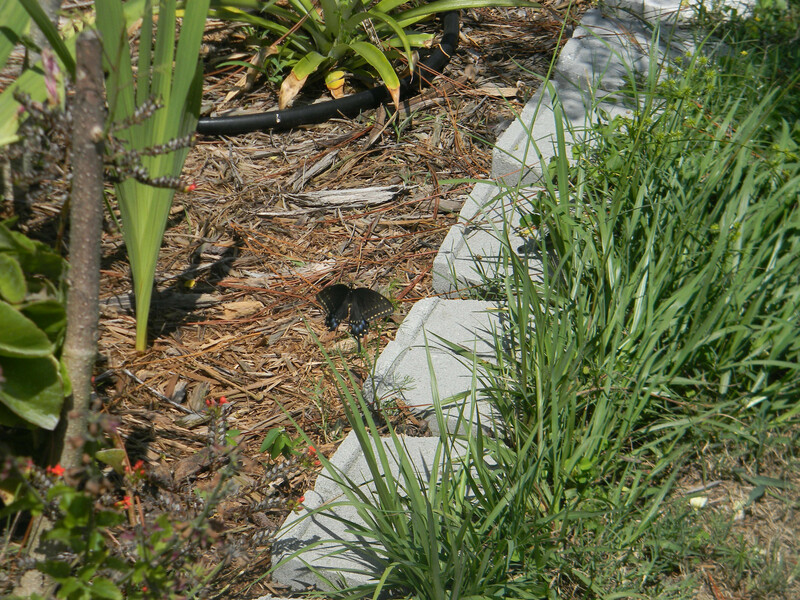 I think it is Bermuda grass. I understand I can’t even kill it by pulling it up. I am not going to use chemicals so will do what I can. 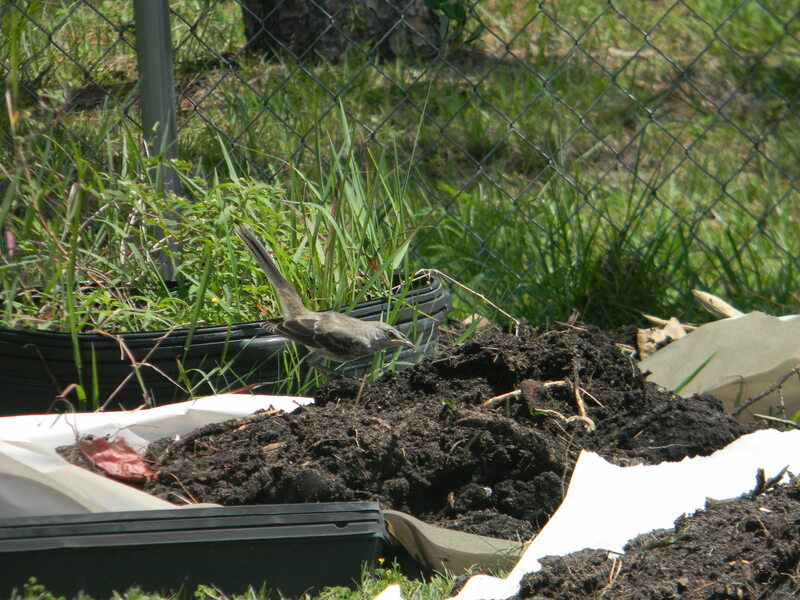 Cover with newspaper and then mulch and give the rest to Yehovah.